The conference ended Thursday night and I must admit that I’m a bit tired. No not due to the parties. I’ve been up late blogging about the event. 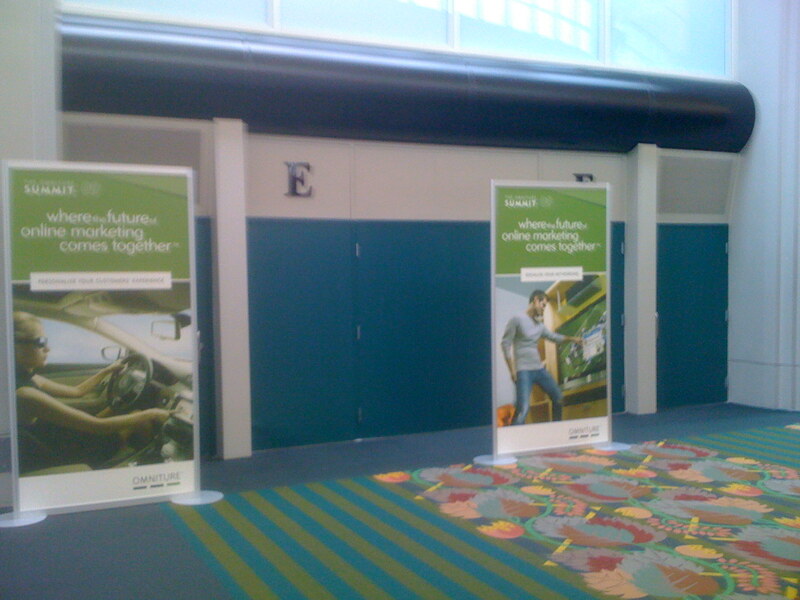 I started blogging about the event on Tuesday Morning prior to the Mind Meld session. After running into Brian Watkins, Omniture’s Sr. PR manager over social media…fondly referred to as Chief Canary Officer for his affinity with Twitter, I came to the realization that I should cover the entire event. Finish what you start right? For the die hards who can figure out some way to stay in Salt Lake City 1 more day, Omniture provides free lift tickets and ski rental discounts along with a $20 gift card for the Snowbird Resort. I used some of my built up vacation time to enjoy the fresh powder. The 2008 Summit was my first ever run at skiing, and it wasn’t pretty. I did learn some things though. This year, I was eager to try a snowboard. I’ve developed some proficiency with skateboarding and wakeboarding, so snowboarding seemed to be a natural progression. We had some errands to run this morning, and then finally got on the slopes around 11:00. Beth, Tim and I stayed on green trails today while our comrade Branden ran all the blue trails and a black diamond. We wrapped up around 5:00 and headed back into town. Thankfully, no broken bones or injuries, but we’ll have some sore spots tomorrow. Skiing was a wonderful way to close out the week. Thanks Omniture for providing some time to relax at the end of a hard week. Wow! What a day! My day started at 8:30 AM and wrapped up around 8:00 PM. I met a ton of high quality movers and shakers with a lot of expertise, and I was able to listen and learn from people who are doing the deal. 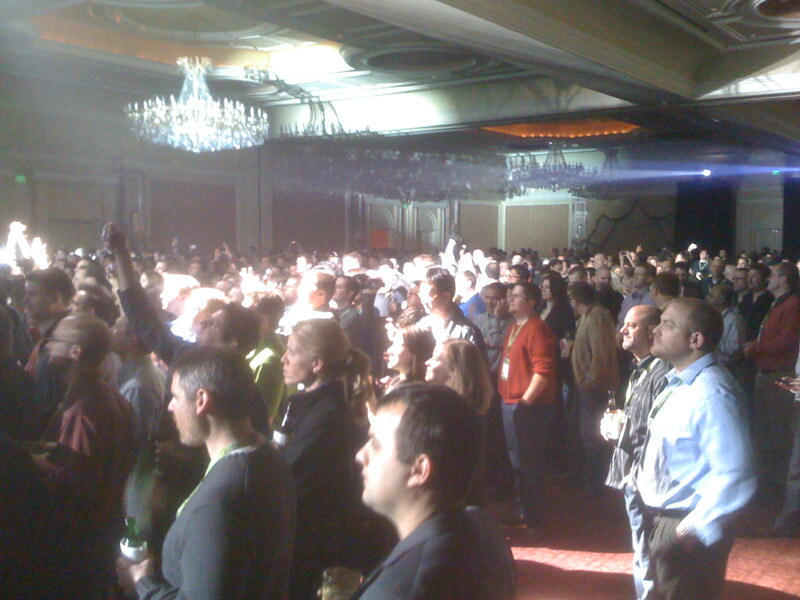 As I’ve come to expect Josh James (Omniture’s CEO) and company deliver another outstanding Summit. As I mentioned in an earlier post, this was my 3rd summit to attend. 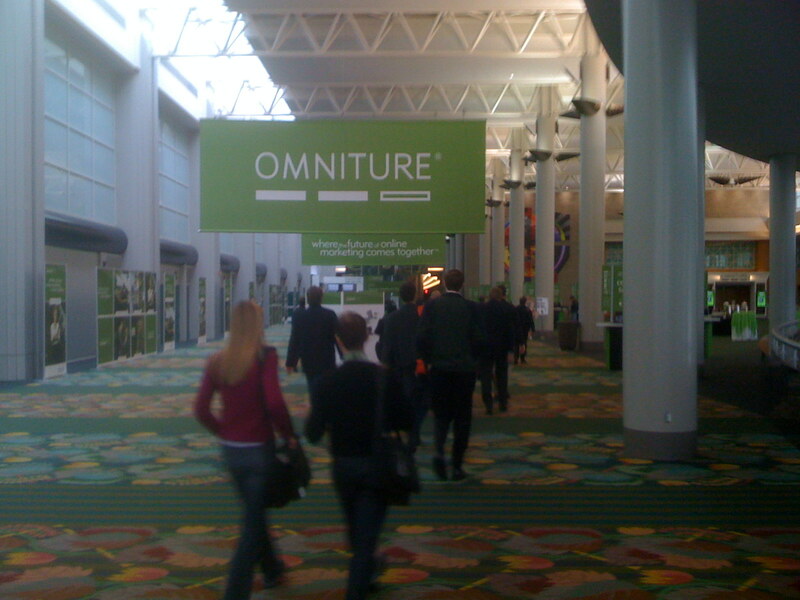 I was very impressed with the 2007 Summit, but the 2008 Summit didn’t hit me as well not by any fault of the Omniture staff. 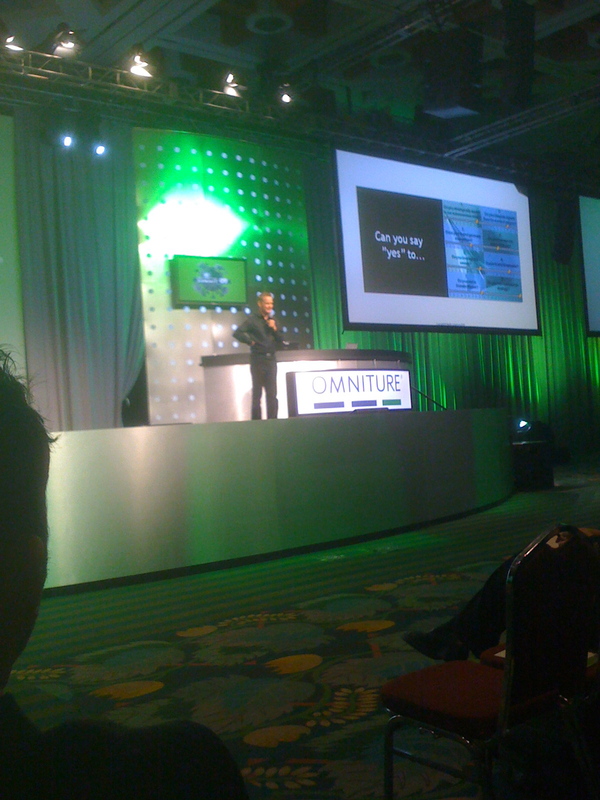 2008 was more of an issue with the some of the speakers that were invited in by Omniture. Since it’s 2009, I won’t dwell on last year. Let me just say that 2009 has left me impressed. Gail Ennis (SVP Marketing) and team have done a fabulous job with the layout of the sessions, the support materials, the food, and the general vibe of the event is well…near perfect. They’ve added some tweaks and have raised the bar on the event yet again. 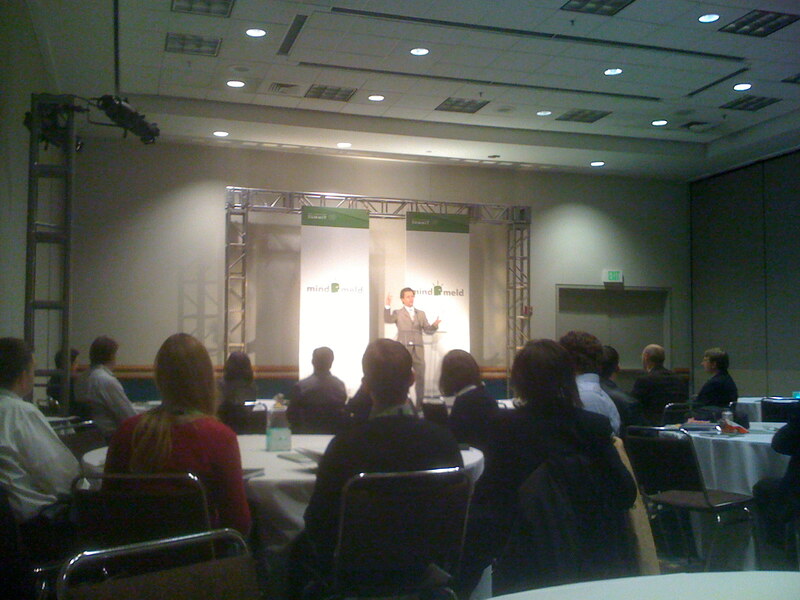 Overall, the keynotes have been the best that I’ve seen at the 3 Summits I’ve attended. Josh of course delivered the opening and was entertaining to listen to as he set the tone of the summit. It’s not easy being a young CEO of a $300 million company. It’ll be interesting to see how he develops his leadership and delivery style over the next few years. Josh’s guest via video link from Europe was Sir Martin Sorrell, a very likeable and impressive figure. Being from a small business company, I didn’t know of Sir Martin Sorrell, but after learning that 20-25% of the world’s advertising spend funnels through one of his many company, I can say it was definitely worthwhile to hear him speak on the economy and future developments. The sessions of the day were very informative, but the highlight of the day’s activities for me came with the closing session where Scott Williams (CMO of Morgans Hotels) and Martin Lindstrom (Buy ology) shared some thoughts. While the things Scott shared were not earth shattering for me, it was excellent to see the interative process in action and how it applied to his business. Not to mention I now want to take my wife to one of their hotels. I guess his marketing campaign worked. This was the first time I’d heard Martin Lindstrom although I had seen his book during one of my frequent visits to the bookstore. One word…phenomenal. 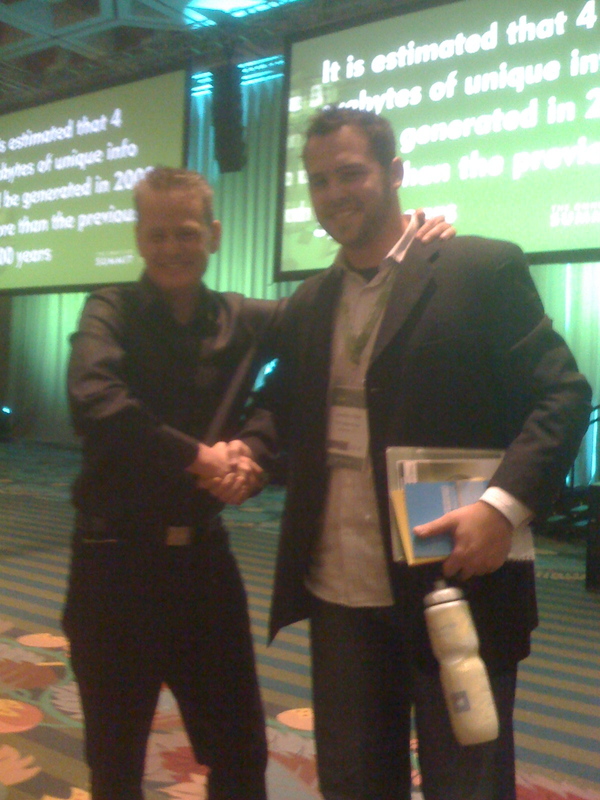 While I loved hearing Seth Godin along with Ted Cannis from Ford in 2008, Martin eclipsed both of them…and he gave me/us a copy of his book. Glad I waited for that one. I’m looking forward to Thursday and my wife is flying in as well for a little skiing this weekend before heading home on Sunday. What a great week. Some pics of the event. Enjoy. The Bazaar Voice team. Hey they're going through our Dave Ramsey Financial Peace University materials! Martin Lindstrom on stage. Great presentation. Would love to hear him again. Branden my comrade doing his I'm important pose with Martin. He won't wash his hand for a week. 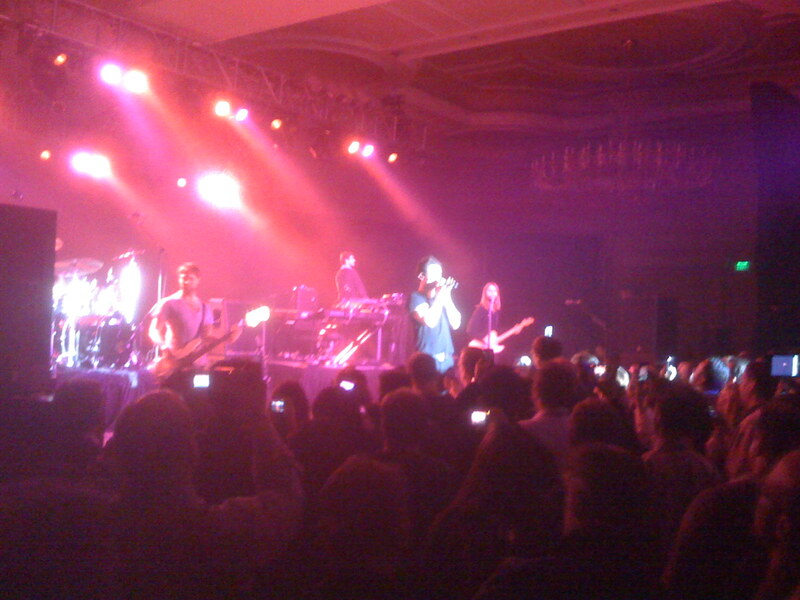 The crowd at the Maroon 5 concert. It was rockn.